The smartest mobile experience. Protect your device with only 1 hand and optimize your mobile experience, with style. Loop fits any mobile device and their cases. No more unfortunate and expensive phone drops. This weeks item is the incredibly popular Moscow Mule Mug! Here at Poor Richards, we have (narrowly!) survived a brutal winter by dreaming of summer. 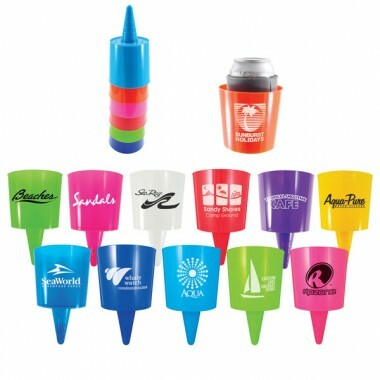 What better way to do that than look for our favorite new and hot summer promotional products? Today’s spotlight is on the Beachnik. Have you ever gone to the beach and NOT come home with sand in everything? The Beachnik helps you avoid that, at least for your phone, sunglasses, and most importantly, beverages. Built wide enough to comfortably hold a bottle, can, (or juicebox for the kids), the Beachnik has a spike on the bottom that enables it to be put into the sand without falling over, and protecting your drink or valuables from the sand and water. Afraid your clients don’t spend enough time at the beach? No worries! The Beachnik can also go into grass or any other soft surface. It comes in a variety of colors and has a very large imprint area to perfectly showcase your company or brand. To find out more about the Beachnik, visit http://www.poorrichardspromos.com/beachnikcp-beachnik.aspx or call us at (866) 587-0271. Hottest product of the year! Have customers on the go? Let them travel light! 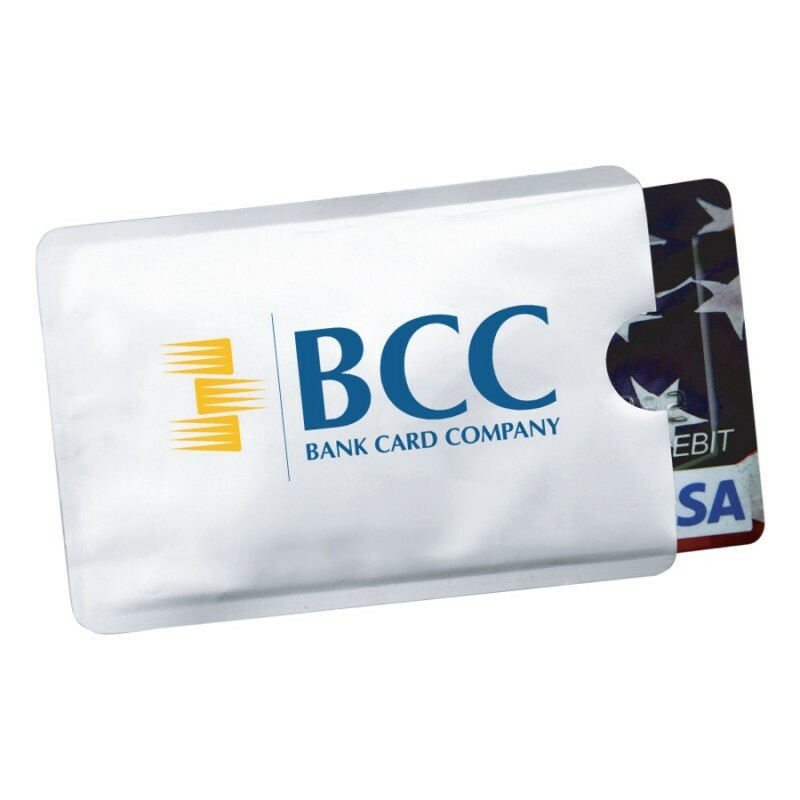 This Silicone wallet with 3M adhesive sticks to the back of any phone and conveniently holds up to 3 credit cards, a drivers license or business cards, hotel room keys, casino rewards cards or anything else you need to carry with you. Also the silicone construction helps to protect against electronic pickpocketers and identity theft. Will NOT deactivate credit cards. There’s a lot of talk these days about RFID or ‘Radio Frequency Identification’. So, what exactly is RFID? In plain english, RFID describes a system that transmits the identity (in the form of a serial number) of an object or person wirelessly using radio waves. Today, a wealth of vital information—including your name, address, and even your Social Security number—can be stored on an RFID chip embedded inside your credit cards or ID cards. You see it happening everywhere. ‘Scan’ your card at starbucks to buy coffee or zip through an EZ pass lane on the highway. Major retailers like WalMart are planning on full implementation of RFID in the next few years. Convenient? Absolutely! But is this new wave technology opening the door for electronic pickpocketing? Gone are the days where thieves have to physically steal your wallet or your mail to get your information. Anyone can purchase a Credit card reader that will read your credit account number, expiration date, and in some cases even name off your new RFID enabled credit card. These readers can easily be concealed by electronic pickpocketers so that someone could walk through a crowd, ride on a subway, elevator, or other crowded area and steal nearby credit card information without the card holder ever knowing it happened. Here are some tips to stay one step ahead of the thieves and to keep your information safe. Change your passwords frequently. You probably have a ton of websites and online pages you need passwords for, correct? Do you keep it simple with the same password for all? Well it’s time to change it up. Shred your snail mail. I’m not sure why companies find it necessary to still include your personal information such as a school ID or social security number on documents sent to you in the mail, but shred them up! Invest in a RFID Protector Sleeve – These are very inexpensive and simple to use. Just slide your credit card in the sleeve and it blocks your information from being transmitted. These can come in a simple plastic case or in the form of a sturdier Aluminum Wallet. What is Kate wearing? What kind of stroller will she use? Highchair? Binkies? Swaddle blankets? From souvenirs to champagne to retail sales… the party is on for retailers – at least in the short run. 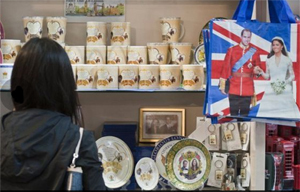 Fox news reported that retailers could see a boost of $372 MILLION from the birth of William and Kate’s baby boy. Hey, we’ll take the quick economy boost. Thanks royals! Looking for a BUZZ for your next event? Try Caffeinated Lip Balm! Who isn’t looking for a boost during a long day? Perk up your pucker with this all natural Caffeinated Lip Balm! Contains green tea and caffeine extract. Easy to pack and ship, this lightweight promo is sure to be a big hit for you next Trade Show promotion.